Through my twitter I came across an article in the New York Times about a problem that many mainstraim doctors and patients are faced with. The article is about doctors bending the rules of clinical trials in order to get patients enrolled in clinical trials for which they would otherwise not qualify. The ECCO is Europe’s oldest and largest scientific conference on cancer and currently the ECCO 15 – ESMO 34 in Berlin is in full swing. Here’s a short overview of some of the main highlights. Simon Singh and Edzard Ernst causing Trouble in Paradise for the British Chiropractic Association? In Belgium you can call a quack for what he is: a quack. In the United Kingdom however, you cannot. British physicist and science writer Simon Singh wrote in The Guardian that there is not a jot of evidence for the claim of the chiropractics that their treatments are effective for certain children’s ailments, but that this doesn’t stop them from ‘happily’ selling their ‘bogus’ treatments. Well, perhaps Singh had better not done this. 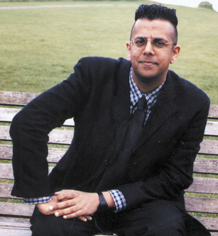 British physicist and science writer Simon Singh wrote in The Guardian that there is not a jot of evidence for the claim of the chiropractics that their treatments are effective for certain children’s ailments, but that this doesn’t stop them from ‘happily’ selling their ‘bogus’ treatments. The chiropractics, many of whom claim that their treatments are helpful in conditions like asthma, adhd and – as they did on this blog – even cancer, dragged Singh to court for libel. The judge found for the chiropractics, but Singh decided to appeal the verdict. There is a wonderful post by Val Jones on Science-Based Medicine, in which she explains what science is about and how we acquire scientific knowledge. To do this, she uses the “Game of 20 Questions” as an analogy. It reminds me of the beautiful metaphor of the crossword puzzle, used by Susan Haack to clarify the process of acquiring knowledge in her book Defending Science. Alternative therapists often want us to believe that cancer is a relatively simple disease that can easily be cured, even when it is deemed “terminal,” as long as the patients do exactly what their alternative therapists tell them. However, cancer is neither simple nor easy to cure and it should never be underestimated. It will stop at nothing, unless we make it stop and science provides us with the knowledge to do so. Even with metastasized cancer, progress is being made, albeit slow. Because one image says more than a thousand words, we have added a new page to this blog with images related to cancer. Consider yourself warned: some of them are not for the faint-hearted. Edzard Ernst, the UK’s first professor of complementary medicine who has become alternative medicine’s public enemy number one, has recently published a new book: Healing, Hype or Harm? A Critical Analysis of Complementary or Alternative Medicine. Michael Bond interviewed Edzard Ernst for The New Scientist. See also this article in the Mail Online, on acupuncture and a number of other alternative therapies.